I am back with the rest of the Valentine's set. 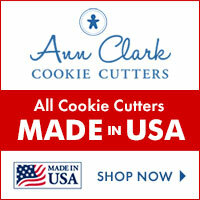 Again, I just mention the napkin ring cookies as there is a whole post about them. 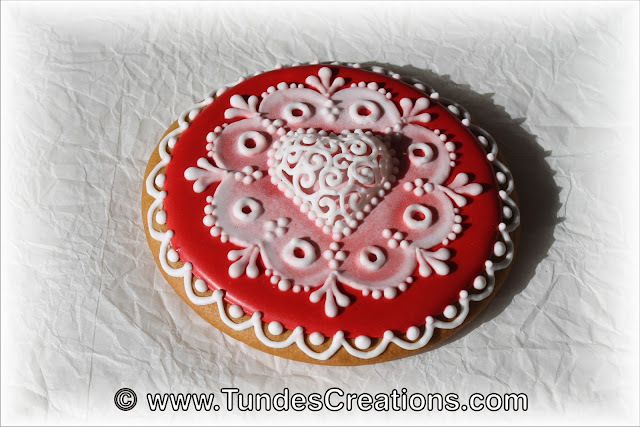 I already showed yesterday the icing transfer heart. This one is the same, but smaller. I used a candy mold to create the small heart transfers. 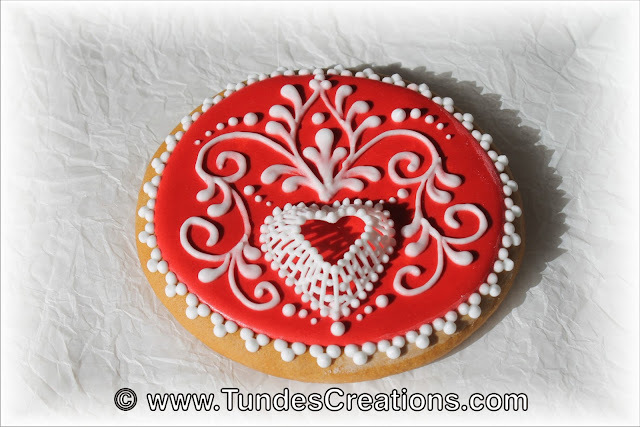 The cookie has a simple red base color, the icing transfer and white piped pattern, finished with a bead border. 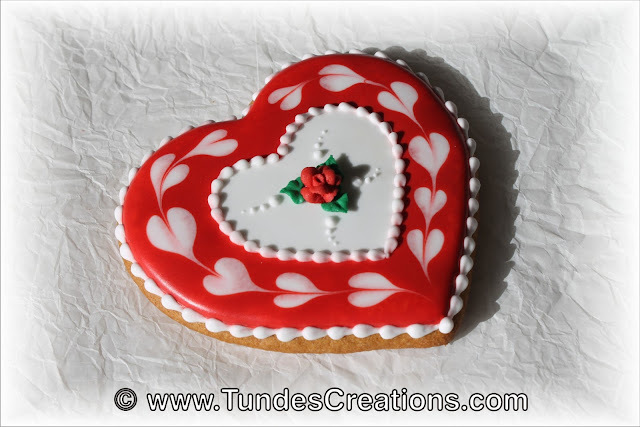 This cookie features an other big heart transfer with roses and some piping around it. This is a 4 inch heart cookie and the inside is a 2 inch heart shape. I flooded the inside with white and the rest of the cookie with red icing. Then I made the hearts in the red part with wet on wet technique. Watch my video to see how to make these. I wrote the word LOVE in the middle and added a little heart underneath. I finished the design with pink bead borders. This is a very similar design, but instead of writing to the middle I added a rose. The transparent lace is combined with a small royal icing transfer heart on red base. 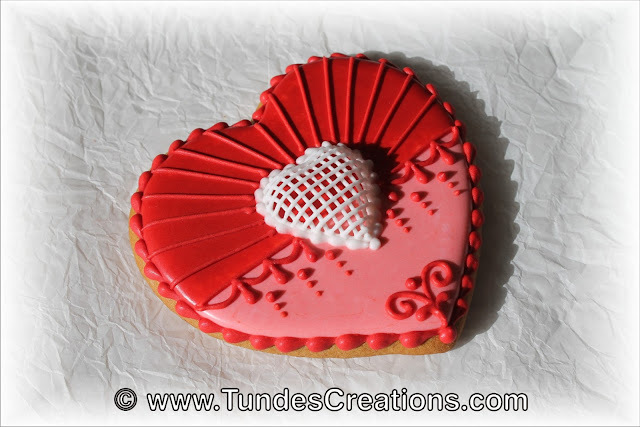 The top of the cookie is flooded with red, the bottom with pink icing. 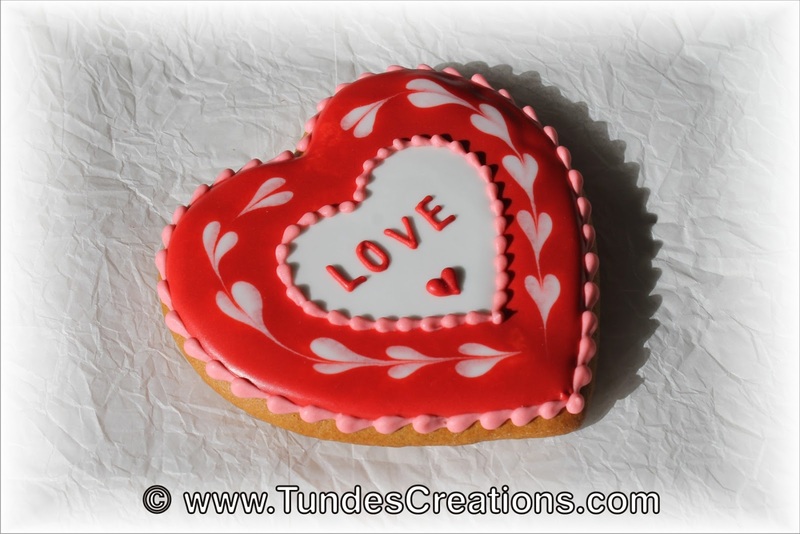 I placed a small icing transfer heart to the middle. Then I traced lines from the heart to the sides on the top and connected the two parts with the red lace pattern. I finished the design with a simple bead border. 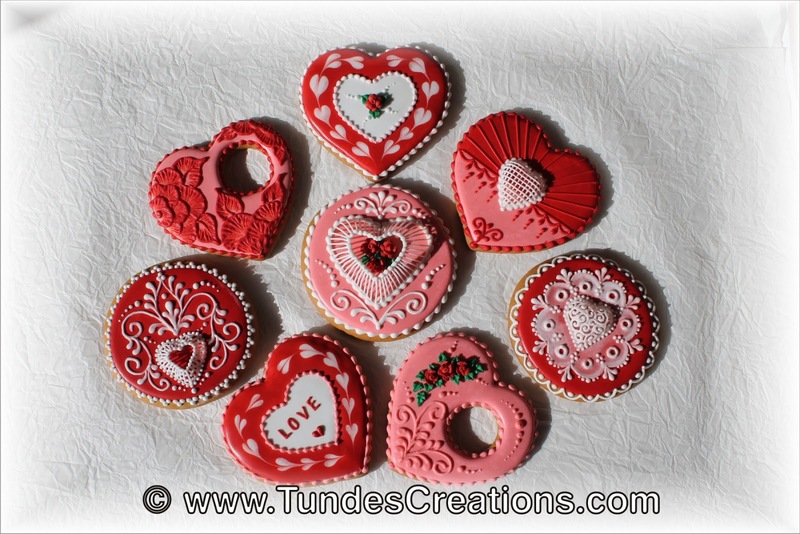 What are you creating for Valentine's Day? 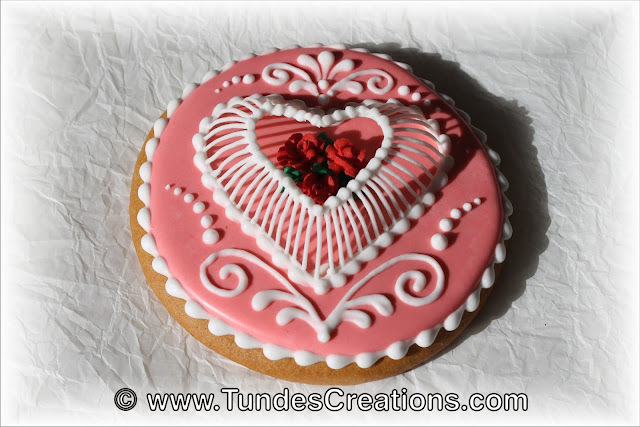 hi tunde happy vd i viewed this tutorial and wondered how you created the ri transfer in a cookie mold i thought i posted my question but apparently i didn't duh me anyway did you coat the inside of the mold then pipe let it dry then gingerly remove it? Actually, I coated the outside of the mold with vegetable shortening and piped on top. Then I let it completely dry before removing it from the mold. Make some extras, I broke a few.